Do you feel tired, anxious, worn out, or just in need of some 'me time'? There's a new relaxation destination, for when you want, or need, to relax deeply. Imagine a tranquil lounge area with four comfortable recliners, separated by privacy screens. Each recliner is equipped with a sound and light system (with Brainwave Entrainment software for very deep relaxation). Included is a choice of Hypnosis recordings or audio books. The Hypnosis recordings will be effective for anxiety, motivation, sleep, habit change, and much more. *Like a massage for your mind (or meditation without the effort). The lounge is a peaceful place, and I am there to ensure you are comfortable at all time. Unlike a private session, recordings are used, and there is no coaching or counselling involved. The Brainwave Entrainment software ensures you will relax deeply, even if you have a busy or anxious mind. Each session is 30 minutes. These sessions would be a way for you to relax deeply and experience some of the benefits of Hypnosis without needing to wait weeks for a private appointment, and at a third of the price . When: Currently running on Friday's and Saturday's. Click on online booking to see the latest dates and times. Very relaxing, feel like I have had a good night's sleep. Dedicated relaxation time and mental space - I really looked forward to my appointment. Chairs, scent, soundtrack all very soothing. Great to be able to come after work. Love the tea. The chairs were very comfortable, I was able to shut everything out and feel so very relaxed. My mind still wandered a couple of times but just so easy to flow with it all again. The tea is delicious too. Louise's voice is so soothing & relaxing. Very calming, clearing the mind. Calming, relaxing, tea, gentle wake up. The Bliss Lounge is a very peaceful environment, where even though you are with others, you are not aware that they are there. Thank you for the opportunity to 'Bliss out" in your new environment. I didn't want to leave. 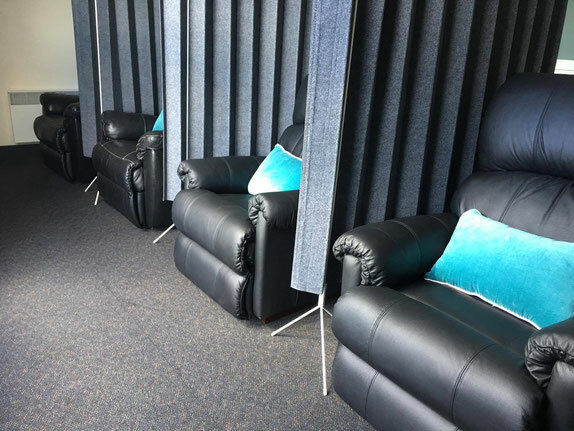 It is a wonderful safe space that allows you to relax and be yourself (chairs and blankets add to the relaxation). Privacy maintained. No rushing, time to awaken after. Beautiful herbal tea to complete the treatment. Great for people who are time poor. I like the fact that it made me feel the most relaxed I've ever felt in my life. Truly amazing experience, would love to come back. First time I've been relaxed in weeks. A moment for me to "stop" "rest" and "recover". I like that it's easier to access quicker when you feel you just need some extra support to clear the mind, reaffirm new habits. I will definitely use the lounge between 1:1 sessions. Thank you! Very relaxing, super comfortable, loved it. Very welcoming, friendly, lovely environment, limited people. The comfy chairs and the lovely space; the tea! The smell is relaxing too. Wonderful 'me' time. Super relaxing. The chairs were comfortable. I was able to shut everything out and feel so very relaxed. My mind still wandered a couple of times but just so easy to flow with it all again. The tea is delicious too. Louise's voice is so soothing and relaxing. The 'changing a bad habit' content was great, very positive. (I enjoyed) The relaxation chair and the special glasses. The idea and concept and the pleasant/friendly hostess! It was very relaxing. I will come again. Very relaxing. I really enjoyed it. Relaxing, could do with friends. I found it very relaxing and the audio was extremely effective. Relaxing, professional and supportive environment. (I liked) the calmness and care. The chair was very comfortable. Wonderful comfort. Exactly as described. Even in a group it still felt like a very personal session. Louise was relaxing, from the moment I walked in she made me feel at ease. Being completely unaware of what to expect, this was something I will do again and soon. I feel very different walking out and in a good way, thank you. I found the Bliss Lounge Session super relaxing. A lovely way to spend 30 minutes - I feel rejuvenated! The background 'noise' made me so relaxed. I felt like my body was sinking into the chair and amazingly and comfortably heavy. The 'clear mind ' tape gave me great mental pictures and skills. Light, peaceful, welcoming. Fluffy blanket! Great environment, lovely rooms, easy to relax uninterrupted. You would not know there were others in the room. I think the glasses really help to stop your mind from wandering. Very relaxing and calming! A perfect way to de-stress. Great gift idea! Very warm and relaxed, even before the relaxing began.